The formula for "Tutti Frutti" still is not the best, I did not find it as hydrating as a lip balm would be, but it is still considerably more hydrating than most lipsticks. "Tutti Frutti" does win points for color and lack of glitter (I hate the feeling of large flecks of glitter on the lips). The color for this is quite sheer, but still shows up as a nice orange, almost coral, great for the upcoming warmer months. I feel like with a color like this, the sheerness works, because I can't see myself wearing a full coverage orange lipstick! 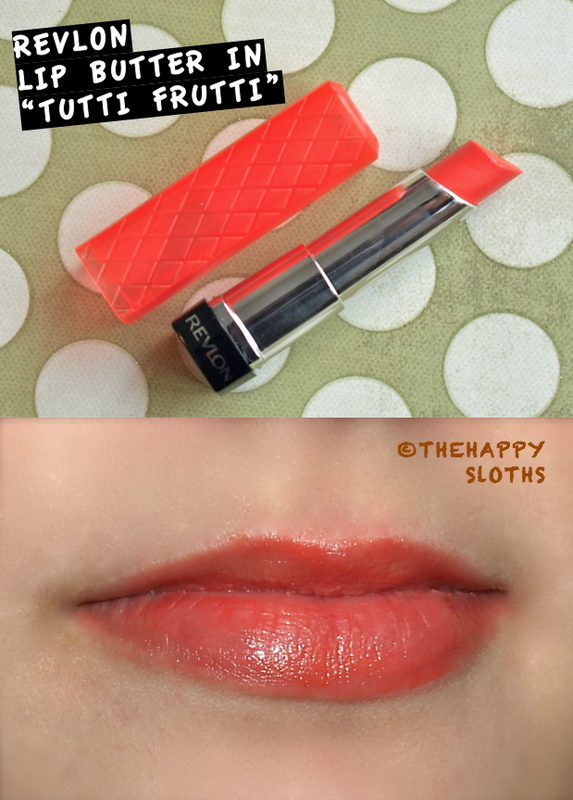 Finally as much as I love this color, I wish the formula was more hydrating, also, I find that both lip butters I've own are too soft, they crumble easily if I use a bit too much pressure when applying on the lips, a small chunk already came off of "Tutti Frutti"! 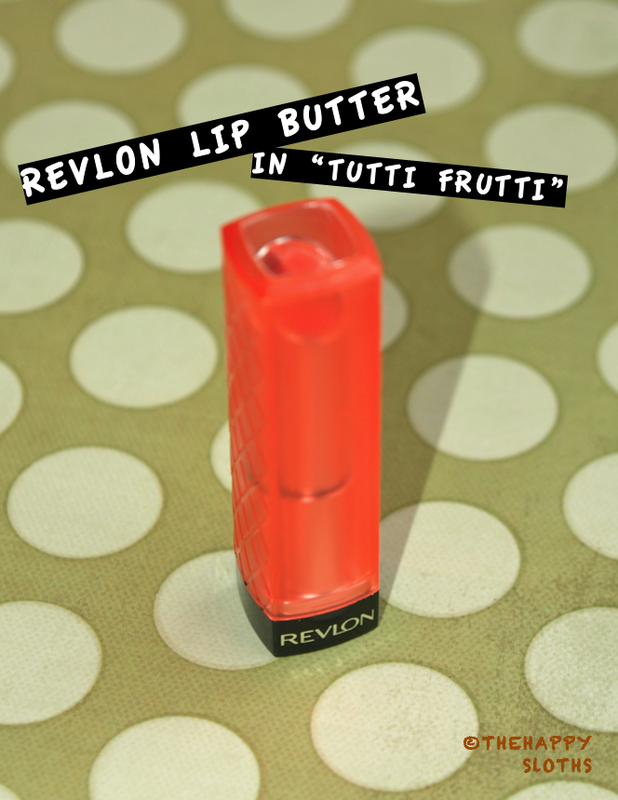 What do you think about the Revlon Lip Butters, any recommendations?